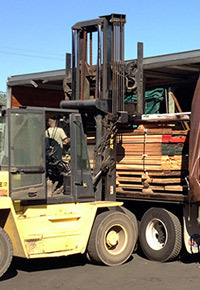 Lumber Buying for Smarties: The Right Time To Buy Ipe. One thing is for sure: If you’re looking for a premium weather-resistant deck, dock, or boardwalk, the best option is Ipe. It’s more resilient than other tropical hardwoods or pressure-treated Pine, and much better all-around than composite decking materials. So why doesn’t everyone use Ipe for their decks? The answer is simple: It comes down to price. While you’ll never find Ipe to be the least expensive option out there, there are many ways you can cut costs and still get your Ipe deck. Over the long haul, you’ll end up saving money, too, since you won’t have to repair or replace the boards. 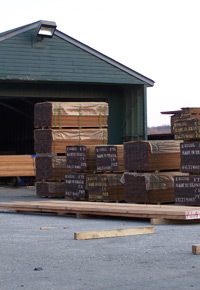 To help you avoid sticker shock for your initial lumber purchase, though, you can save by understanding two basic factors: the right time to buy and the right size to buy. We all know the basics of the law of supply and demand. When you combine that knowledge with an understanding of Ipe’s origin and the buying season for it, you’ll be better equipped to place a well-timed order that gives you the most Ipe for your money. Because Ipe comes from Brazil, where there is a long rainy season that prohibits harvesting, we need to carefully time our own orders from the Ipe log mills. 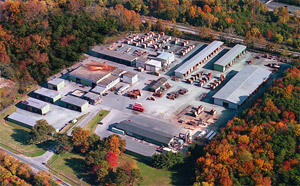 We typically place our Ipe orders for the year in the fall and start receiving shipments around Christmas. 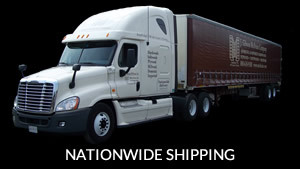 The last of the regular shipments typically comes in early spring. After that, the orders that we place come with a much higher price tag — and we have to pass along that increased cost to our customers. The customers who get the best deals on Ipe are the ones who place their orders in the fall or winter or at least early in the decking season. They also buy enough to allow us to keep packs intact, so we can afford to pass along our savings to them without the added cost of handling which is required to break up the packs. 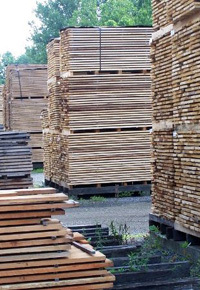 In addition to late-season price increases as well as added overhead expenses due to separating lumber from packs, late-season buyers end up paying more simply because what’s sometimes left is the higher grade Ipe that is normally priced higher, anyway. An additional issue that relates to timing is whether you know in advance that you’ll have several jobs requiring Ipe. Rather than our having the overhead expenses related to picking apart packs of Ipe, we can help you save money if you purchase entire packs at once. Sure, it might mean tying up valuable capital early in the season, but by the end of the summer, you’ll be glad you did. That extra money you’re not spending on materials can help pad your pockets and enable you to make other large purchases on materials next year, beginning a snowball effect that will ultimately benefit your business and your pay check! Further details are explained here and here, but the basic idea is that if you want the best deal on Ipe, you need to buy all your orders for the season as early as possible and in as few orders as you can.